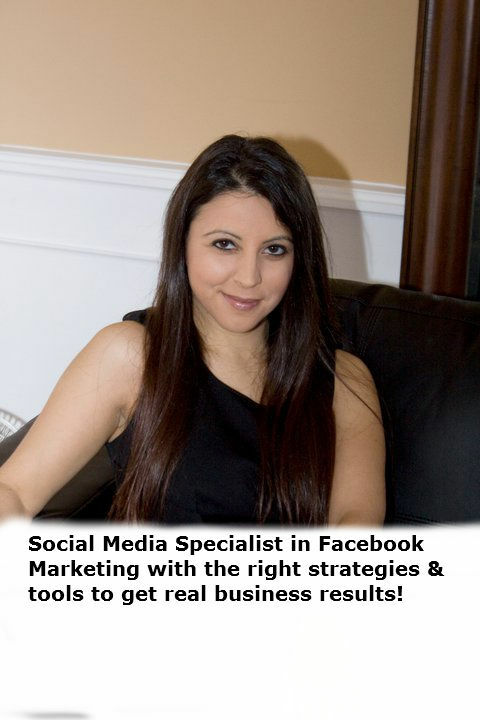 I am a passionate Social Media and Online Marketing Specialist with the right strategies, relationships & tools to get your business real results in today’s new world of marketing! It is overwhelming to figure out all the essential online marketing strategies, relationships & tools to create a fully engaged community of customers on social media, that is where I come in. It is my mission to help businesses reap the benefits of social media through creating effective, unique & engaging Facebook pages, along with other social media profiles (LinkedIn, Pinterest, Twitter, Google+, and YouTube). I have devoted my time developing and testing social media strategies that create successful results. I have a university degree along with previous social media experience in creating engaging content that your specific audience will connect with. I always measure strategies to select what works to get real business results. I specialize in content development aimed to increase engagement with your target audience. I have devoted my time and energy to master this field of online engagement in social sites, while and after working as a Community Relations Manager in a previous position. I am also a former College Business Instructor, with additional work experience in data analysis and research in developing training programs. I am certified in Advanced Social Media Strategies from The University of San Francisco, along with many other online courses in Social Media Marketing, such as The Social Media Summit programmed by Social Media Examiner, Marie Forleo’s Online Business School to name a few. I’ll update with you the real latest breaking news, reviews, and online/social media marketing strategies that are really useful once you subscribe to my blog feed via email on my home page. Looking forward to connecting, reading your comments and answering any questions you may have! I hope sometime in due course there will be a project we will work together.. may be social media marketing for ideas.. or another business.. I would like to discuss a social media plan for my business with you. What is your phone number? I have got a lot of useful information and fresh knowledge in your website. Thank You, Rita. Greetings from California! I’m bored to death at work so I decided to check out your site on my iphone during lunch break. I enjoy the info you provide here and can’t wait to take a look when I get home. Hi, This is a great web site. since I book marked it and subscribed to this blog! Looking forward to your upcoming blog posts! They are excellent! Packed full of knowledge that enlightens me with new ideas every time I read your stuff. Keep up on Rocking it! will often come back to learn more. I want to encourage you to continue your great writing, have a nice evening! Quality articles or reviews is the crucial to invite the users to go to see the website, that’s what this web site is providing.